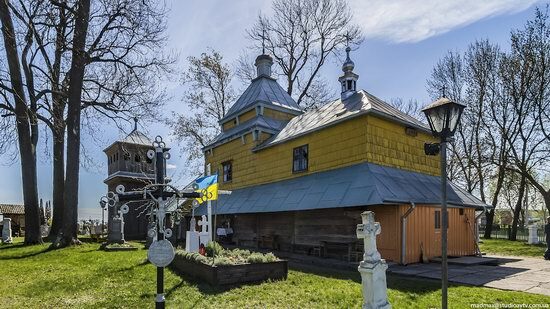 Krekhiv is a village with a population of about 800 people located in the Zhovkva district of the Lviv region, 35 km north-west of Lviv. 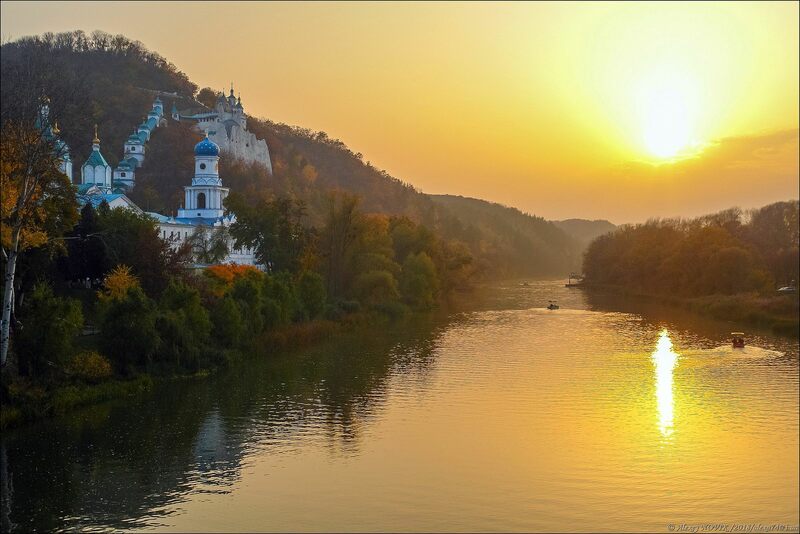 In 1612, an Orthodox monastery was founded at a distance of about 2 km from the village. 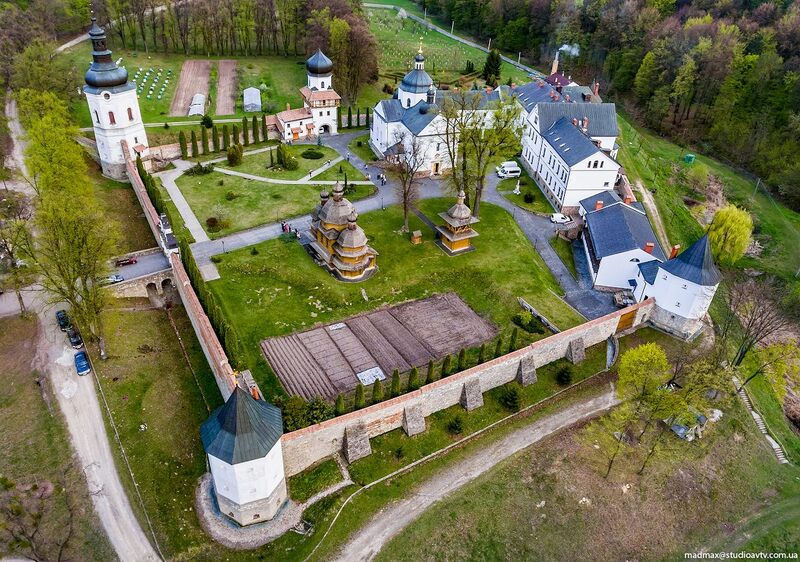 In 1669, the monks built fortifications around the monastery and turned it into a fortress. Krekhiv Monastery on Google Maps. Photos by: Maxim Ritus. 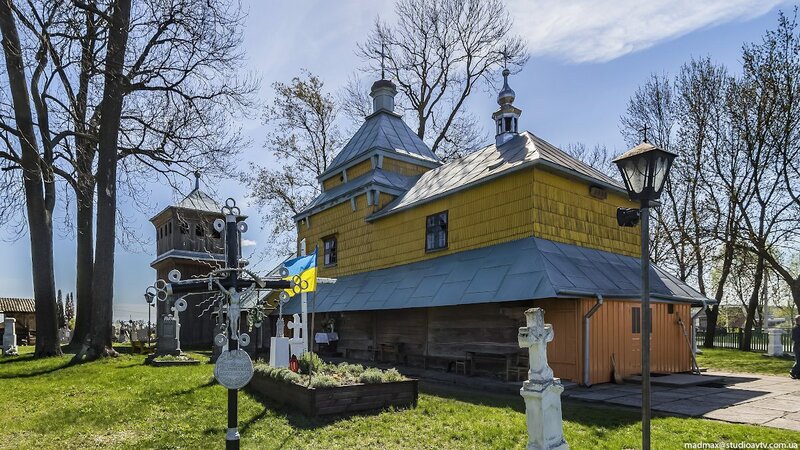 Despite the fact that Zhovkva, located near the city of Lviv, is a very small town, it is rich in interesting monuments of architecture. One of them is the Church of the Holy Trinity – a beautiful wooden church built in 1720. This is an outstanding monument of architecture and monumental art of the Galician school. 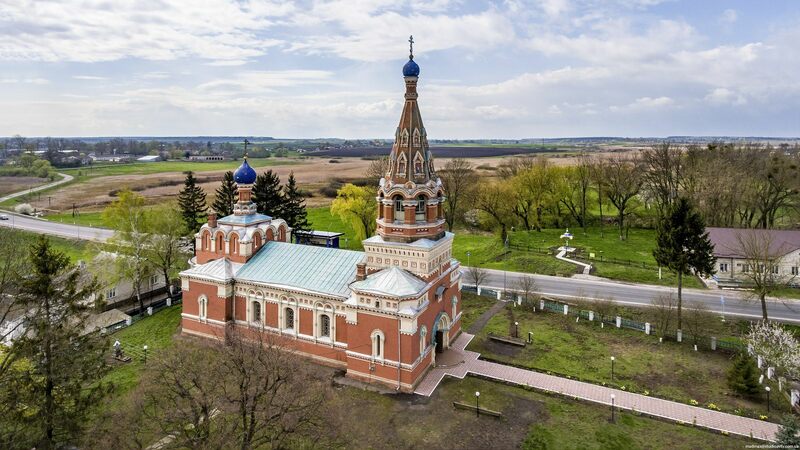 The Holy Trinity Church in Zhovkva on Google Maps. Photos by: Maxim Ritus. Volya-Vysotska is a village with a population of about 1,700 people located in the Zholkovsky district of the Lviv region. 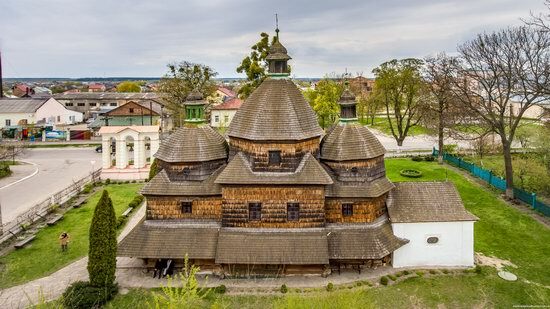 The main attraction of the village is the Church of the Holy Archangel Michael (1598) – one of the oldest wooden churches in Ukraine and an architectural monument of national importance located near the highway Lviv – Rava-Ruska, near the cemetery. Volya-Vysotska on Google Maps. Photos by: Maxim Ritus. 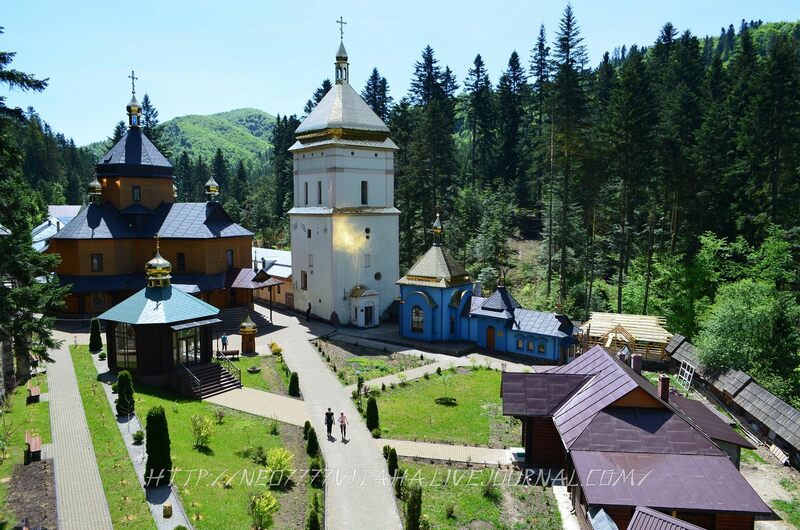 Holy Dormition Pochayiv Lavra is an Orthodox monastery located in the town of Pochaiv in the Ternopil region. 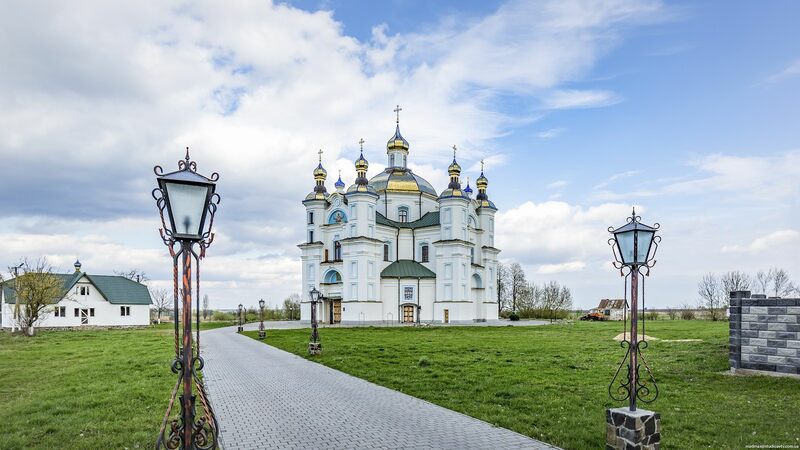 It is the largest Orthodox temple complex and monastery in western Ukraine and the second largest in the country after Kyiv Pechersk Lavra.